It’s natural to assume that geologists as a breed, are of good stock. They are hale, hearty, don’t mind a spot of outdoor activity and most importantly don’t do evil. However there’s always a bad apple in any given group and it follows that some of you reading this will be bone fide Evil Geologists. It is to that group that I address this blogpost. Like most evil scientists, you Evil Geologists will need a lair in which to plot and plan your inevitable ascent to ruler of Earth and thenceforth, to bend its peoples to your evil whims. 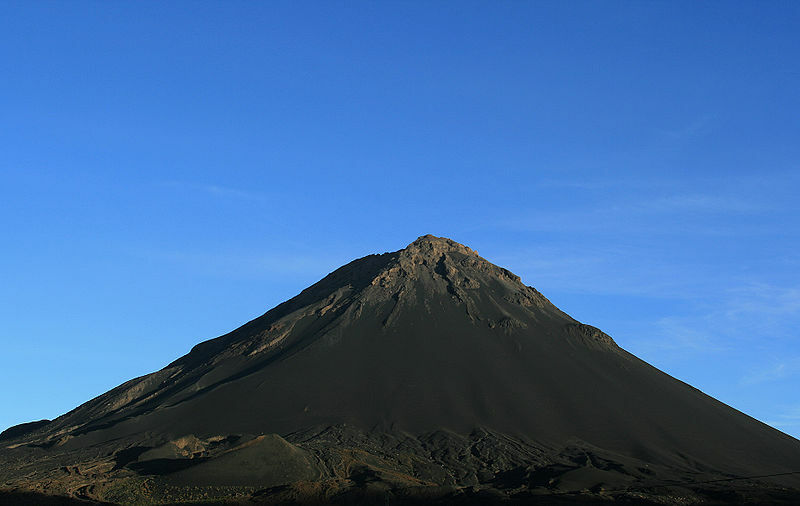 Traditionally the top choice for such a base is an isolated stratovolcanic cone. Preferably dormant, even better on an island away from any pesky local police or military interference. As an Evil Geologist, you are in a unique position to find and exploit such locations. However, I hope you will allow me as map librarian of the Geological Society, to give you some pointers to some of the best real-estate opportunities available for the discerning evil-doer. 1. Atlasov Island: The perfect volcanic cone perched at the northern end of the Kuril islands. No indigenous population, no tourists and very remote. It’s an ultra-listed stratovolcano that last erupted in 1996. There are a number of islands in the Kuril chain that would qualify as decent lairs, so it’s more than likely you’ll have evil neighbours. 2. Surtsey: A new, but short-term opportunity closer to civilisation. This island was formed from 1963-1967 to the south-east of Iceland, after a volcanic eruption which started 130 metres below sea level. It only reached a size of 2.7 km2, and wind and wave erosion has been shrinking it ever since, so you’ll need to move fast. 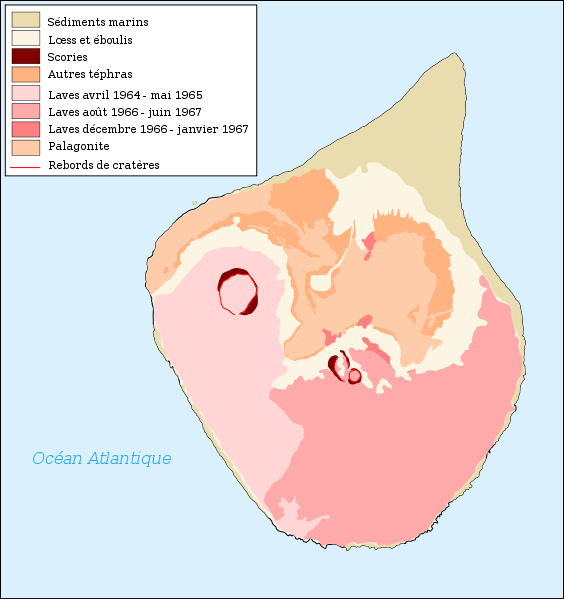 The island has lost half its area since was formed and is estimated to be under sea-level by 2100. 3. Jabal al-Tair: If you prefer warmer climes and a base positioned to dominate shipping channels, how about this island located at the mouth of the Red Sea? The major drawbacks are that it erupted in 2007, is on the boundary between the Arabian and African plates and is likely to remain active for the foreseeable future. 4. Fogo: A better bet in terms of recent activity is Mount Fogo. The main cone last erupted in 1675, but there was an eruption of a vent in 1995. Unfortunately this island in Cape Verde is populated – but you can always do with a few recruits to assist with your diabolical schemes. 5. 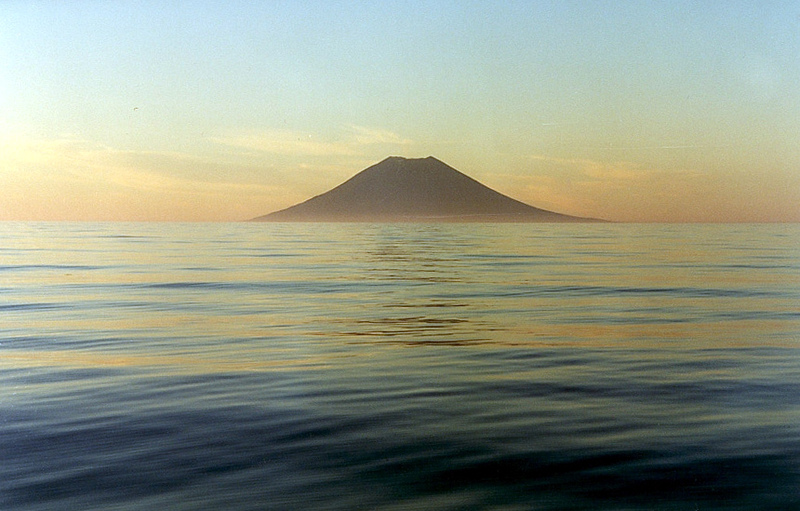 Stromboli: No list of evil lairs would be complete without this volcano situated in the Mediterranean. 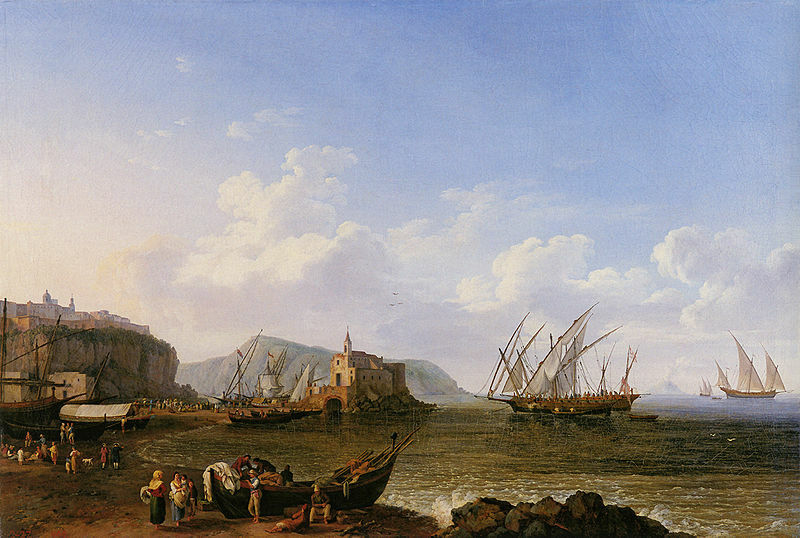 Tourists visit it, it was painted in 1778 (see left), and the name of a Bond villain was inspired by it. It’s such an icon that I would not be surprised if it already had an Evil Geologist in residence. Be on your guard for pre-installed piranha tanks and sulphur pits if visiting. Tags: eruption, geography, islands, lists, stromboli, volcanoes. Bookmark the permalink. Top Evil Geologists volcanic lair is Deception Island in Antarctica! I’ve been there….you can sail into the centre of it for christs sake! 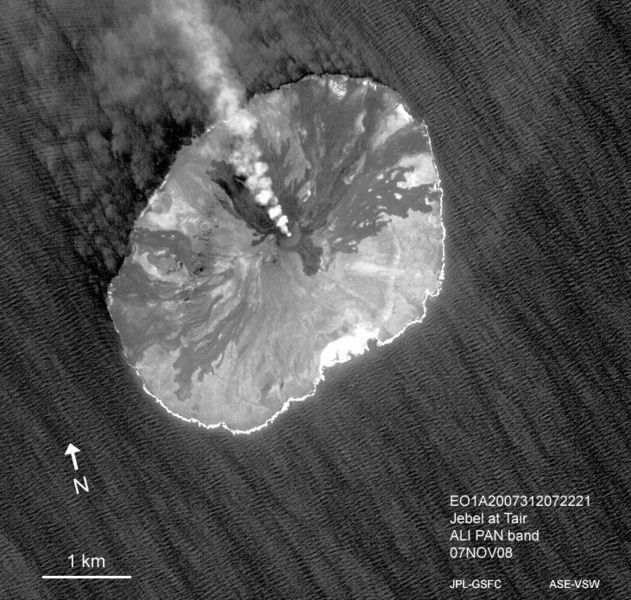 @Conor I considered Deception Island (and Deacon Peak on Penguin Island) in Antarctica, but I was looking for something more traditionally volcano-shaped when viewed from the surface. Plus the damp-coursing bill for Deception Island is going to cost a fortune. As an Evil Geologist I would have to take a slightly different tack to Paul. – Firstly I would need to get permission from She Who Must Be Obeyed to grow my beard back to a Darwinian badger-hiding scale ; trivial, but ultimately essential to true Evil Geologist status. – Secondly, I would recruit a stooge. For political reasons, as well as just general evilness, the stooge would probably have to be a “Creation Geologist”, preferably of the “Young Earth” clade. They’re always down, but I see no reason not to don my crampons and deliver a good kicking. – The stooge I would persuade to put my “public” plan into operation, from a lair that I design in assorted tunnels in the Yellowstone National Park in America. Obviously, this would excite retribution from the forces of “Good”. – Moderate application of psychology through public fora, together with careful placement of the stooge’s forces, would need to be applied to persuade the American President of the time to “take out” the stooge with thermonuclear devices. I note that Ms Palin of Alaska has apparently counted herself out of the race for the Presidency, which would of course make her the prime candidate. Such an intellectual giant will be readily persuaded of the necessity of using overwhelming force on the stooge. Persuading the stooge to wear a Halloween “Satan” costume might be more difficult. – The rest of the plan becomes clear : the stooge (obviously my nearest competitor as a World-Dominating Evil Geologist) gets taken out by the “Forces of Good” ; the subsequent eruption of the Yellowstone Supervolcano takes out the world’s remaining superpower ; my victory is almost complete. Oh, and as a pleasant side effect, religious fundamentalism would acquire a very public reputation as a trait not correlated with survival. I think you mean Sharks with freakin’ lasers, right? If you’re an evil geologist, it would seem that one would be most interested in activating faults or volcanoes for ransom. As such I wouldn’t want my primary lair to be anywhere near such a feature. So I would want my lair to be in a stable craton. Perhaps geologically boring, but at least safe (safer). Nice story, but I’ve been to Stromboli gazillions of times but never seen anything that looks vaguely like that painting. That seems to require quite a lot of geological upheaval since the 18th century (including the disappearance of that proximal island in the background!) or a really crappy painter. When the world population is chunking out junk because of their good nature, evil is to recycle it with volcanic powers and recreate new weapons of mass destruction. I aspire to create a base of operations in the near future.